Located next to The Beer Factory in Puchong, Sector 7 has the potential of being my favourite hangout place now that Chef Max (formerly from Leonardo’s) is heading the kitchen. 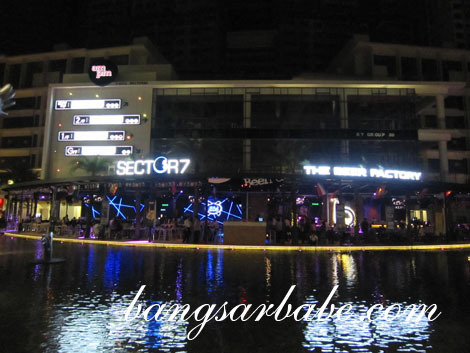 Inspired by alien civilization, Sector 7’s décor is sleek and modern with blue laser lights to mimic the spaceship feel. 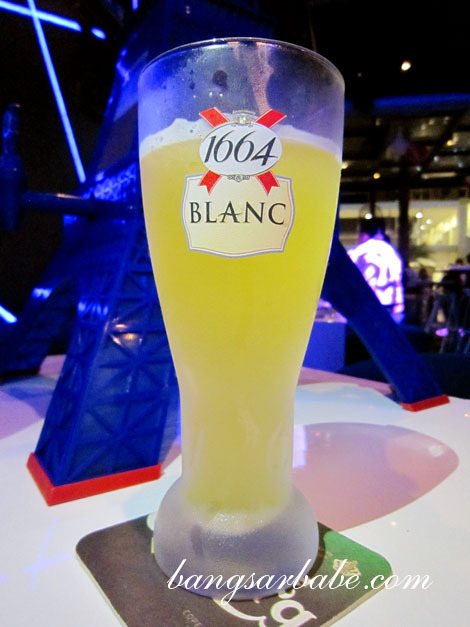 Check out the specially designed Kronenbourg 1664 logo! Forget pigs in a blanket; Scallop Bites (RM25) is definitely a better taste teaser. 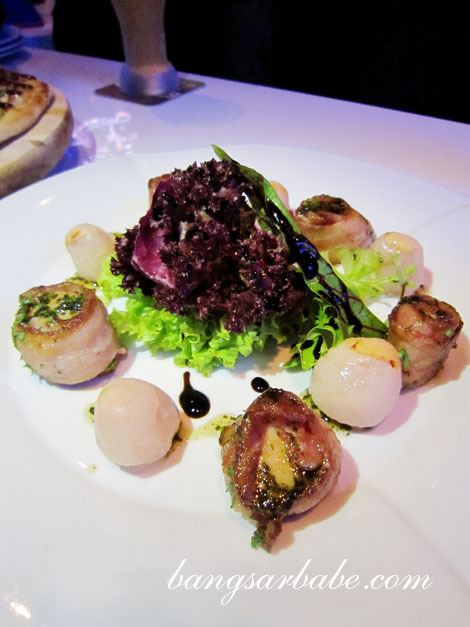 Chef Max’s version features juicy, pan seared salad wrapped with crisp bacon and a side of lychee, mesclun salad with mint vinaigrette. 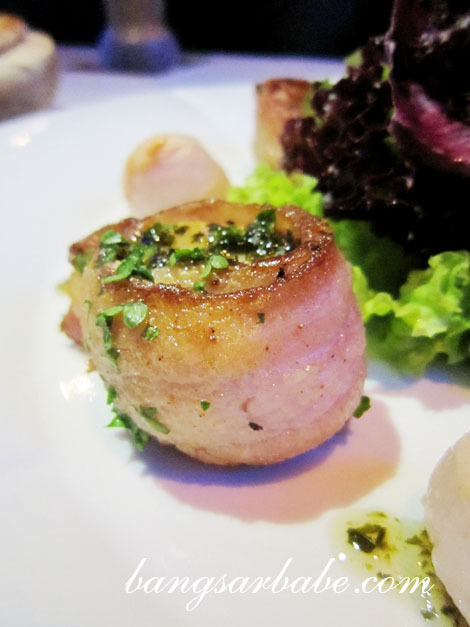 The lychee and scallop had a lovely symmetry of taste and texture, and I was on a roll for more! Another good starter was the Char Siew Pizza (RM28), a composition of roasted char siew pieces, mozzarella and wild rocket. 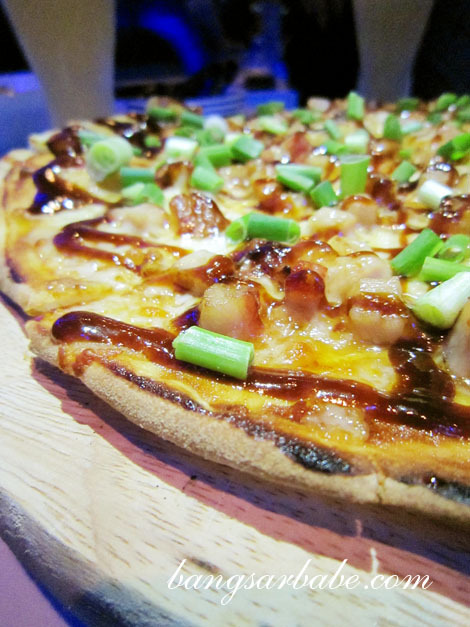 This was a tastier version of Kisatten’s char siew pizza as the balance of sweet and savoury was just right. 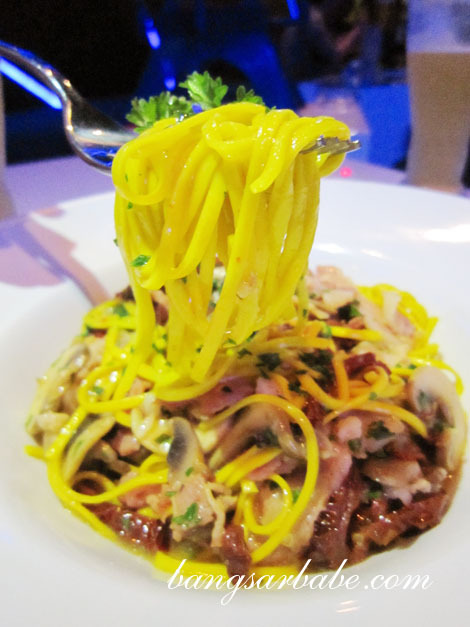 The Saffron Angel Hair (RM26) was another triumph from Chef Max’s kitchen. Perfectly al dente, the thin pasta was tossed with copious amount of garlic, chilli, bacon, mushrooms and tomatoes, and finished off with a douse of white wine. The outcome? 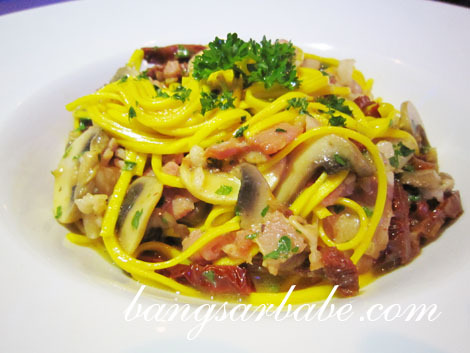 A light yet richly flavoured bowl of pasta that leaves you begging for seconds. 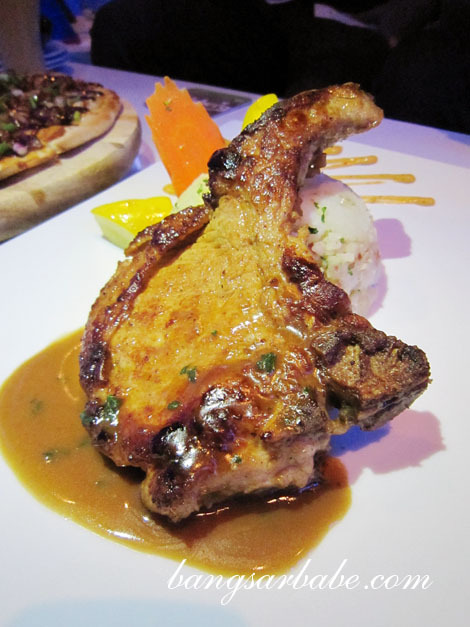 Marinated Pork Chop (RM28) is said to be one of the top dishes to order at Sector 7, but I disagree. Granted portion was generous and the pork was well marinated with herbs and spices, it was still not as good as Chef Max’s crispy pork knuckle. By the way, the latter will be available at Sector 7 fairly soon so look out for it. The Sang Har Yee Mee (RM28) retained a slight crisp around the edges, despite it swimming in egg gravy. 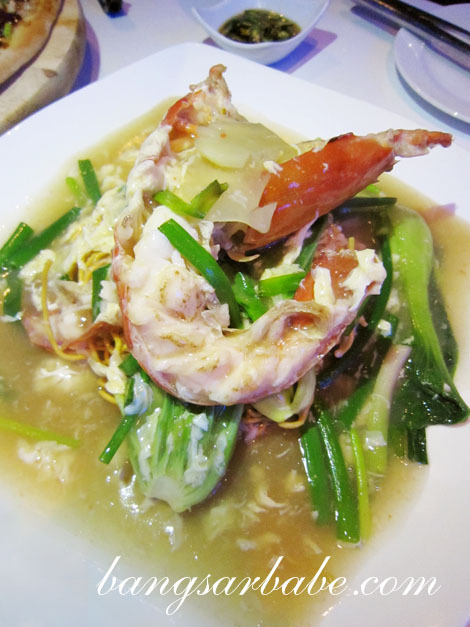 I was glad to find the prawn fresh and relatively sweet, as my last sang har mee experience was a disappointment (and rip-off). While it’s not the best sang har noodles I’ve eaten, it is definitely one of the better ones around. There’s definitely a lot of potential in Sector 7 (and The Beer Factory), especially since my two favourite people form Leonardo’s – Chef Max and Barry – are managing the place now. Time to bring the makan gang over to Puchong, since the pork knuckle and pasta at our favourite place is no longer as good since Max left. Verdict: A bit further from where I live, but for good food and reasonably priced beer, I’m willing to brave two tolls! 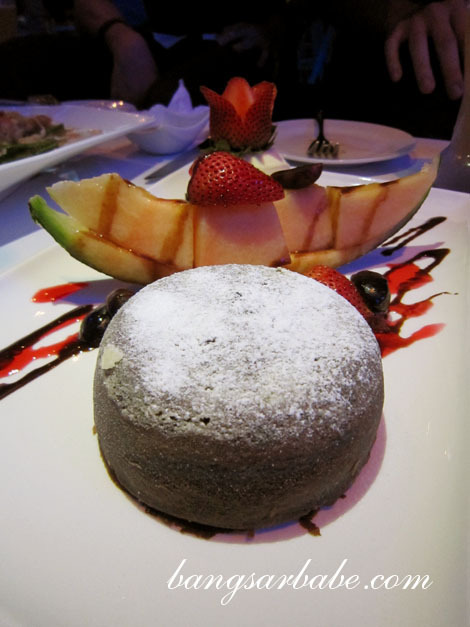 Try Silverspoon in Publika or Porto Romano. 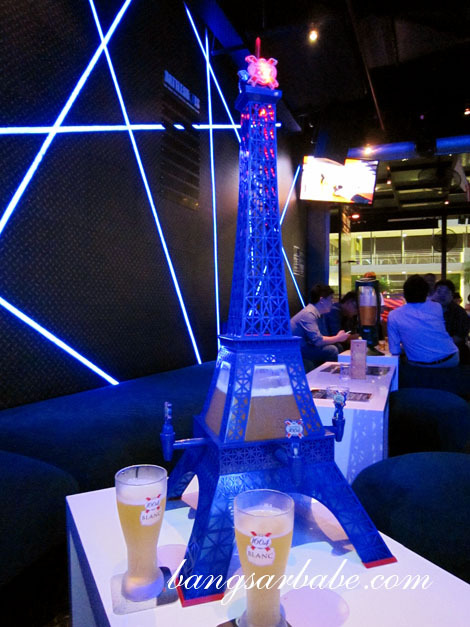 May i know whats the blue laser tower drink name is? 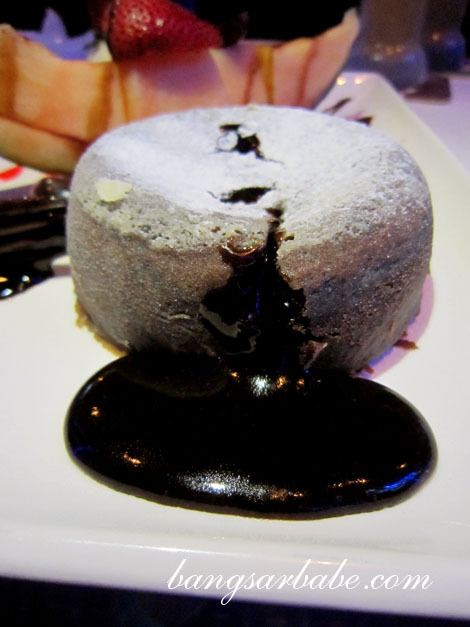 I been once and i cant get to order that.